Srinagar: Asserting that healthcare upgradation has been a priority of her government, Jammu and Kashmir Chief Minister Mehbooba Mufti on Monday asked health department to set up dialysis facility at every district hospitals in view of a large number of patients requiring this frequently. Ms Mehbooba on Monday e-inaugurated a separate dialysis facility for Anantnag District Hospital. “The state of the Art facility would benefit around five hundred patients of the South Kashmir region and directions for setting up of such a facility ware issued by the Chief Minister during her Public Outreach programme at Anantnag on November 11, 2017,” an official spokesperson said here. He said this is a step to provide highly specialized quality medicare facility to renal patients of far-flung areas at their doorstep. “A similar facility is being set up at the JLNM Hospital, Rainwari and Government Hospital, Gandhi Nagar, Jammu. 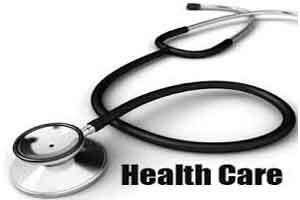 Later the facility is planned to be extended to seven more District Hospitals in the State including Leh and Kargil,” he said. Expressing satisfaction at the setting up of this facility at the Anantnag District Hospital, the Chief Minister directed the Health Services Department to set up such facility at every District Hospital in view of a large number of patients requiring this frequently. The Chief Minister said upgradation and specialization of health facilities has been the thrust area of her Government particularly in rural areas. Ms Mehbooba said she has herself been monitoring the pace of work on the five upcoming Medical Colleges in the State and even the posts for the same have been created. This, she said, would take the healthcare facilities in the State to higher levels of quality and professionalism.